Ancient Greece, possibly Laconian Type, Geometric Period, ca. 8th century BCE. 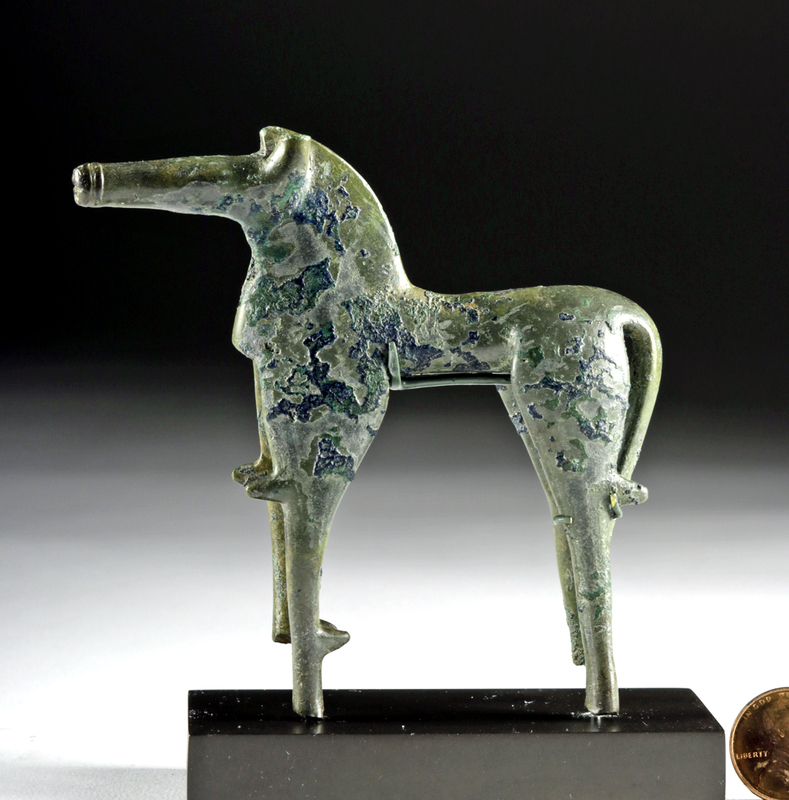 A petite bronze horse presenting the characteristic abstract stylings of the Geometric period. 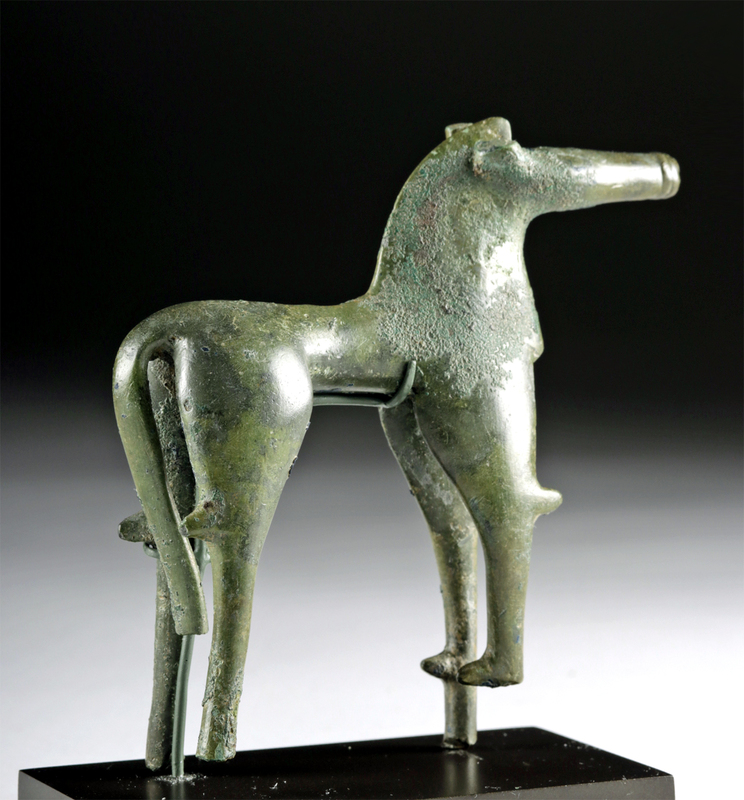 The equine form stands with an elongated body upon a pair of slender legs, with a sinuous tail and an angular posterior comprising the back end. 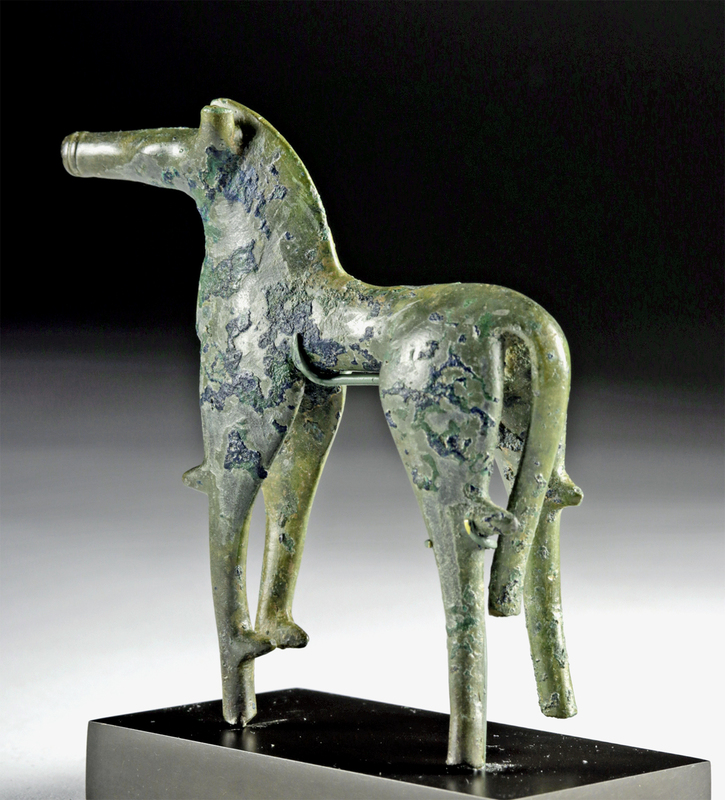 The minimalist head exhibits a stylized integral crested mane, a drawn-out face with cylindrical muzzle, and singular perky ear on top, with a smooth layer of sage-hued patina and areas of deeper forest green patina covering the surface. Zoomorphic representations of this period are generally small in scale, and the figures have simplified schematic shapes as we see in this example. A wonderful piece indicative of the beginning of Greek figural art when the Hellenistic penchant for naturalism was in its embryonic stages. Size: 3.75" L x 3.75" H (9.5 cm x 9.5 cm); 4.25" H (10.8 cm) on included custom stand. Cf: J.L. 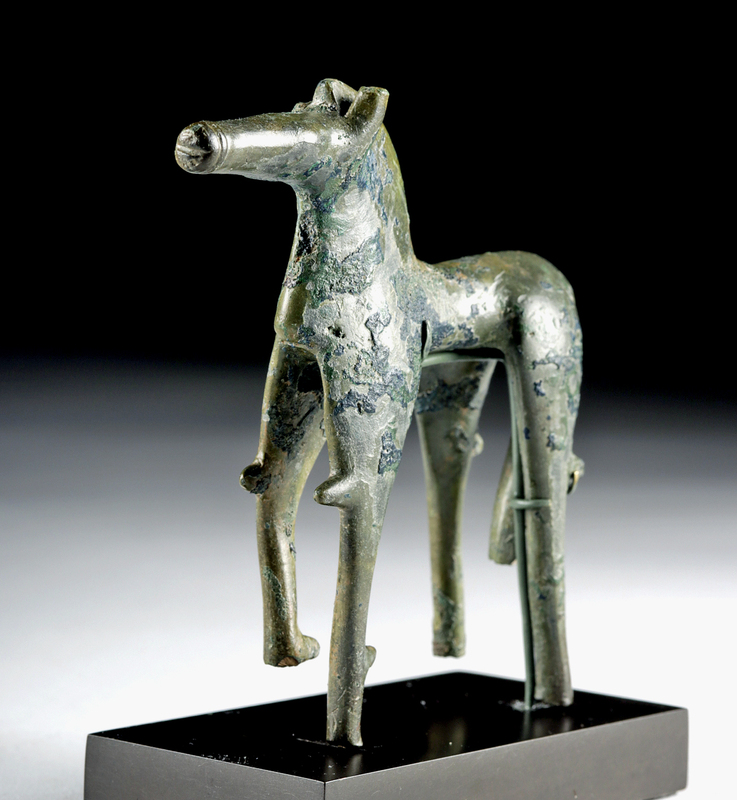 Zimmermann, Les Chevaux de Bronze Dans l'Art Geometrique Grec (1989) 33.114. For a similar example in The Metropolitan Museum of Art, New York (inv. no. 21.88.24) see Zimmermann, op. cit., p. 180, no. 27, pl. 42. See another similar "Laconian" example in "Glories of the Past: Ancient Art from the Shelby White and Leon Levy Collection", Metropolitan Museum of Art, 1990, no. 72. Condition: Missing one ear. Losses from tip of other ear, lower sections of legs and tail. Incredible patina of sage green and aqua hues.